Fans of the Marvel franchises have already met the Black Panther in 2016’s Captain America: Civil War. It’s not necessary to have seen that to enjoy this, but since Black Panther picks up more or less right afterwards, it could be a useful exercise to bring you up to speed as to where we stand in the Marvelverse timeline. That aside, Black Panther works as a standalone movie, and you don’t even really need any prior knowledge of Marvel, or the character, to make sense of it. I won’t go into the events of Civil War, other than to say that our protagonist, T’Challa (Boseman) is now king of Wakanda, following the death of his father in that movie. Wakanda is an African Kingdom that is rich in Vibranium – the most precious and valuable resource on the planet – that can heal illness and be used to develop astonishing technologies. While the outside world considers them a poor African nation, in reality they are a wealthy and technologically advanced state, with weapons’ tech far beyond what is available in the western world. 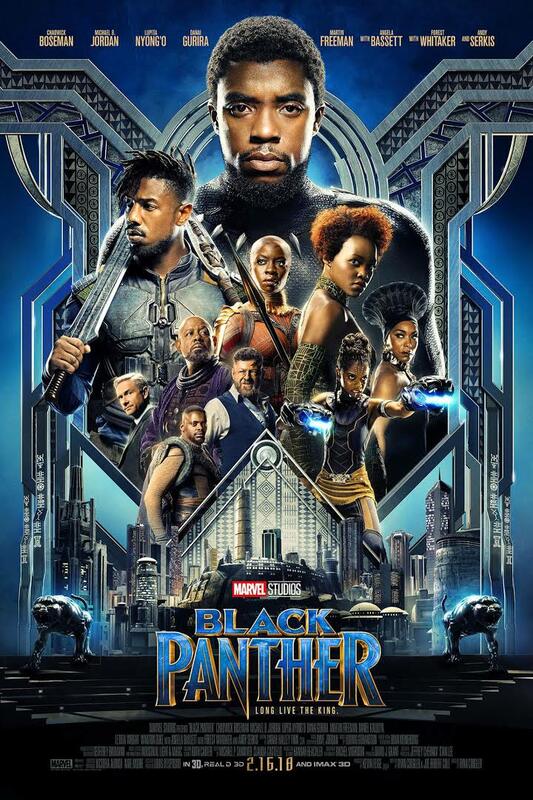 Obviously, when your country houses something that valuable, others want it, and Wakanda is no exception, as a blast from T’Challa’s family’s past appears intent on stealing the throne, and distributing Vibranium, to the outside world. Although still finding his feet as King T’Challa, as his alter ego the Black Panther must defend his family’s legacy, and stop the Vibranium getting into the wrong hands. This may sound like your standard run-of-the-mill superhero movie, but Black Panther really is so much more than that. It is rare that I would say believe the hype, but in this case, it’s true. Although we only met the titular character once before, and none of the other characters prior to this, they are some of the most well-rounded Marvel have ever committed to screen. This is no doubt helped by the fantastic cast, who all do a wonderful job. Black Panther manages to deal with complex issues and themes, such as race relations, family politics, and even the responsibility (or not) of wealthy countries to poorer more oppressed lands, however, it never feels like these are being shoved down your throat. As well as the multi-layered story and characters, Black Panther is also a total visual delight. In fact, I would go so far as to say that it is Marvel’s most colourful movie ever. It really draws on the wealth of diverse African influences to create a visual that is steeped in tradition, while embracing the future. The soundtrack is also spot-on, and completely infectious. In terms of action, Black Panther contains some of the best-thought-out set-pieces I’ve ever seen in a Marvel movie. In fact, it is difficult to say anything bad about it, as it is so completely well-rounded. If I had one complaint, it is that Andy Serkis’ character is ridiculously OTT, even for a comic book adaptation. But the rest of Black Panther is such a fantastically entertaining ride, that this doesn’t seem to matter. Enormously enjoyable, Black Panther sets the bar pretty high for Marvel’s future offerings.